Goofy, goofy, Gomer! What a character this boy is. 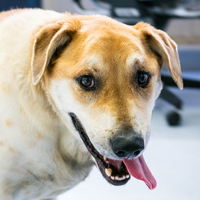 It may take a minute for him to warm up to you, but once you gain Gomer’s trust his love is so rewarding because you know it’s true! Want an active new friend that loves to play and will keep up with you on hikes?? Well, here’s Patron and he is ready to roll! Super social, and ready for adventure. 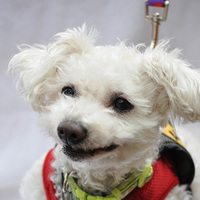 Patron is a young 7 year old, he weighs about 12 pounds and seems to always have a grin on his face. He is a pistol! We love him but he can be bossy so a home without children would be best for this dude. 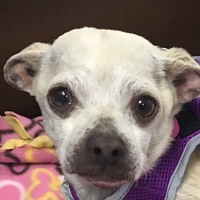 Don’t let his itty bitty size fool you, Mickey has the biggest personality around! 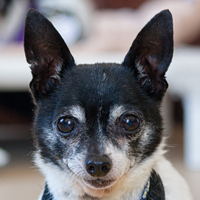 He was a little nervous when he first arrived at Muttville, but now he practically runs the place! 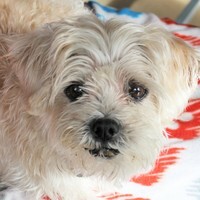 Mickey doesn’t shy away from crawling into your lap the second he meets you, and can hang with dogs of all sizes. He’s so darn cute that you’ll want to stick him in your pocket and take him with you wherever you go! Sweetest Waffles was held in our arms as she gently left this world. We all loved her and could tell she was suffering, we made sure that she got lots of love and lots of goodies to eat nd had a wonderful last chapter…. Meet Paco, a real gem! Paco is as gentle as they come. He’s good with dogs, children and even chickens. I find it funny that Paco’s full given name is Apacolypse!!! We have turned that into “Paco Lips” here. Seriously this is the easiest foster dog we have ever had. Looking for a large breed, lovable companion? Then look no further! Sparks is the perfect gentleman. 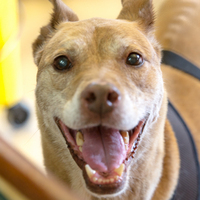 This Lab mix does great with dogs of all sizes, loves people, is easy to walk, and is affectionate and sweet. He seems happy no matter what and is sure to brighten your day. 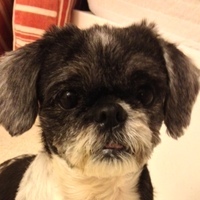 Sparks would love an adopter who could slim him down and get him active again. Could you be Sparks new best friend? Sparks is about 8 years old and weighs 116 pounds. 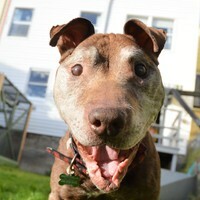 Nicky is a sweet senior boy looking for his perfect match! 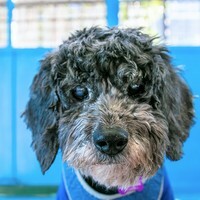 He may not be able to see too well, but that doesn’t stop him from getting along great with people and with dogs of all sizes. 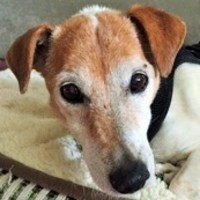 All Nicky wants is to spend his golden years getting pampered and loved like he so deserves!